The University of North Dakota has announced that, along with research partners from Harris Corporation and the Northern Plains Unmanned Aircraft Systems Test Site (NPUASTS), it has successfully completed initial field testing for a first-of-its kind command and control (C2) ground radio network to support beyond visual line of sight (BVLOS) drone flights this week. The radio network adds C2 functionality to the North Dakota-based Harris UAS (unmanned aerial systems) Network, a 55-mile-long system of integrated communications and surveillance infrastructure between Grand Forks and Fargo that enables commercial drones to fly farther and safer in national airspace. The field tests confirmed the C2 radio network’s ability to provide reliable data communications between remote pilots and unmanned aircraft over long distances, which is critical for safe BVLOS operations that can unlock the benefits of UAS technology for public safety, disaster management, critical infrastructure monitoring, package delivery, precision agriculture, law enforcement and other industries. 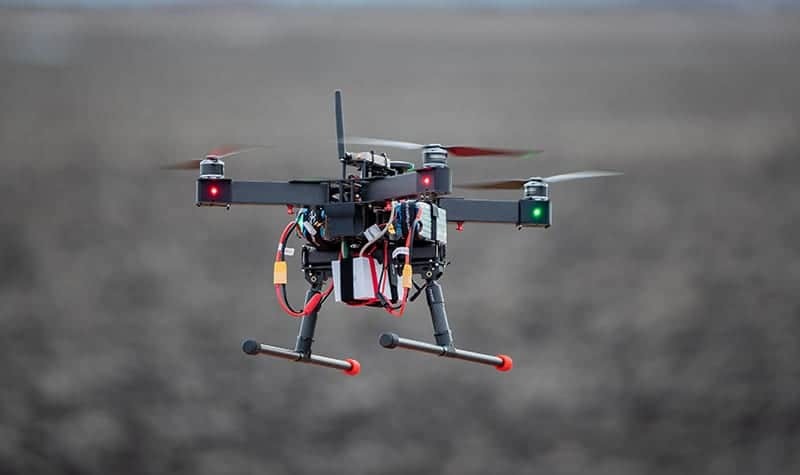 The Harris UAS Network, part of a North Dakota Department of Commerce Research ND project, can be expanded into a statewide infrastructure supporting BVLOS UAS operations. George Kirov, vice president and general manager, Commercial UAS Solutions, Harris, said the deployment of the Harris UAS Network and the activation of its C2 service continues to validate and enhance the attractiveness of North Dakota as a leading hub for UAS innovation and commerce.